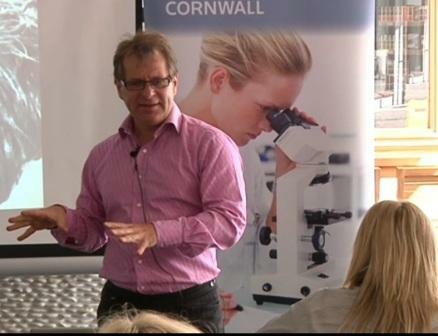 Thirty highly respected business leaders from around Cornwall have taken part in a special marketing masterclass on reputation management. PR Guru Mark Borkowski showed businesses ranging from wind farm and super yacht specialists that managing their brand’s reputation is vital to protecting their business, improving their bottom line and customer base. The event is just one of a wider series happening around the county. These sessions aim to showcase the latest marketing techniques to local business leaders and help increase success for these company’s products and services. Businesses attending the event, at the Rick Stein Fish & Chip Restaurant, Falmouth, had been hand-picked for their high growth potential in the UK and overseas.